The great thing about living where your mind can wander and your body roam free, is that you can come up with stupid/fun ideas that are still legal and you’re not institutionalized. Such is Pasture Golf..but this game could ONLY have been created by the male of the species. 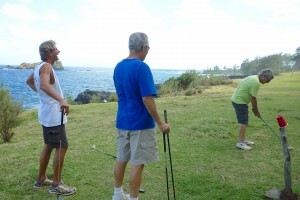 In Hana, it’s called being a member of the PGA. 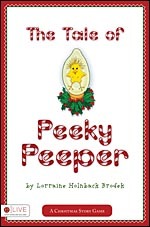 It’s a private, invitation-only, immature boys (that’s redundant) club. It requires a minimal degree of skill–trust me on this–dress code optional, a fast pair of legs and a lot of balls. As in two bags full. 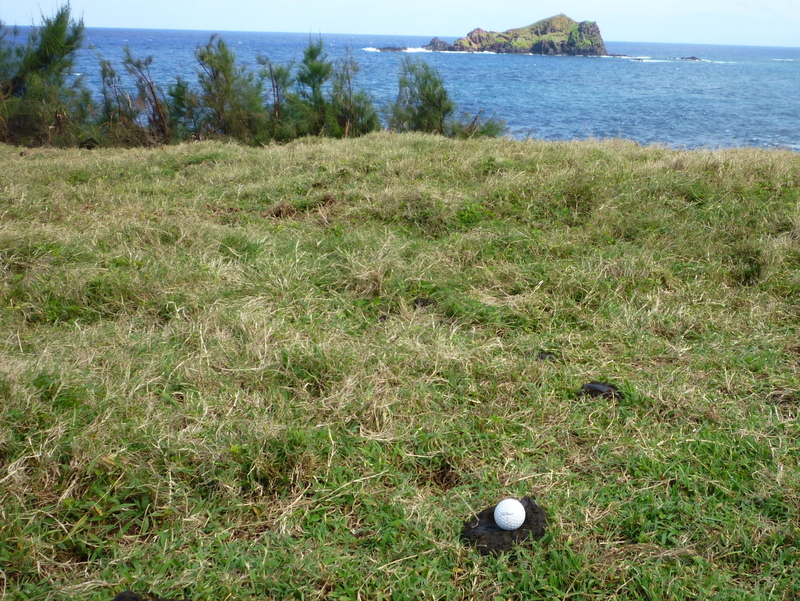 Also two rusty clubs–no Big Berthas allowed because of Hazard #4: lava rocks. A guy can jam his elbow right up into his rotator cuff due to the reverberation factor if his club hits hard rock instead of softer ball. BOING-nG-nG-G! OW! All the guys have nicknames to protect their identity. I’ll give you Tom’s: it’s BLT..not the sandwich..but as in “Big Little Tommy.” Don’t ask, don’t tell. So the PGA goes something like this: BLT goes down to the pasture to join Pinky, Pa, The Rabbi, Whitey, Crash, MacCheezy, RockyRolly..or whosoever might be playing that day. Bubba and Tiger are not members. The group is held to no more than seven or eight because it can get unruly and takes too long to play the course. Everyone wants to get back to the broken tail gate to “wine-toast” the winner, followed by the chest-bump-high-five-grunt-grunt ritual. The winner is the guy who loses the most balls. On average, the minimum ball loss is: two balls per hole. 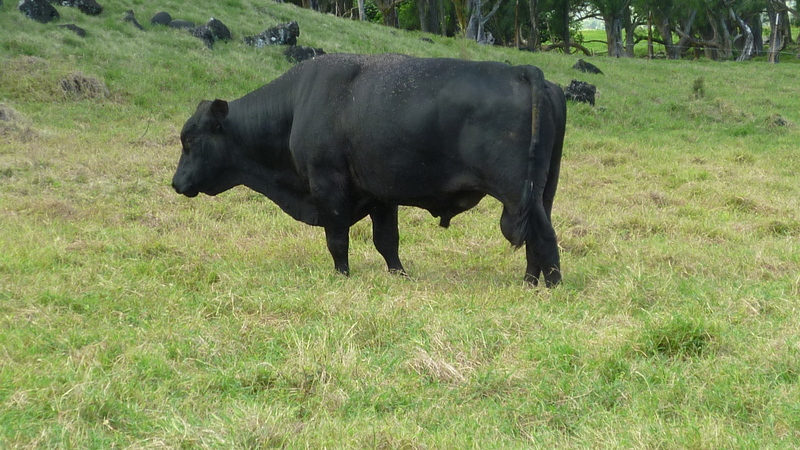 Oh…did I mention this is a bull pasture. 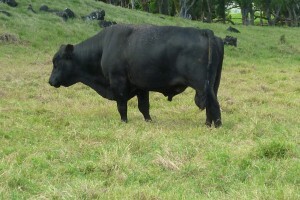 Hazard #1: Black bulls, brown bulls, mean geezer bulls, young, horny bulls. This is the “stupid” part in the whole PGA idea. There’s no fixing stupid. And..oh..#2: there’s a water hazard–like almost the entire eastern shore of the Pacific ocean. 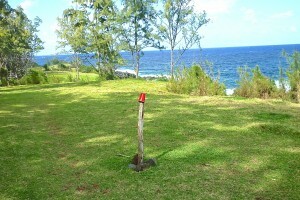 It washes and sprays against the lava cliffs just below the pasture with the golfers and a lot of bulls. Or maybe it should be the pasture and golfers with a lot of bull. Winds can be Hazard #3: trade winds, high velocity Kona winds (emanating from the big island of Hawaii) or breezes zipping down from the Haleakala (Holly-ah-ka-la) volcano which is dormant. This means it hasn’t erupted since 1790, but that could be hear-say because who’s here now to say otherwise? The pasture is a four- can/cup course–give or take a rusted water trough or coconut pile. 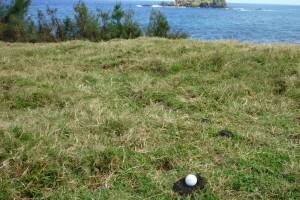 Speaking of piles, if your ball lands in a cow pie (and/or bull cake), it’s a hole-in-one. 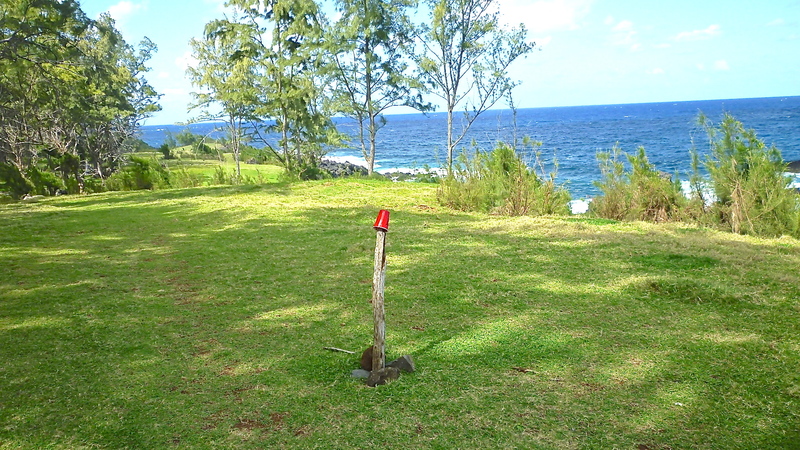 The first hole is a big red cup on a stick. The second hole is a Bud (weizer..not “Lite”) can on a stick. The third hole is a Coors can on a stick..and so it goes. The cans/cups have to be empty, so that means drinking is involved. I bet you’re shocked. If you hit an egret, it’s a birdie. If you hit a bull, it’s a double bogie. That’s where the fast legs come in. It’s also a way to keep a running turnover in membership, so some other non-thinker-drinkers can join. The term “golf widow” comes to mind here. It was a good PGA day this week. BLT arrived back home without injury, got his handicap down to a 25, but I made him take his boots off in the driveway. It had rained the night before in the pasture making all the pies and cakes soggy. He was really happy because they got to play two rounds of the four-can course with ONLY one cowitus interruptus. He also won the bottle of wine because he was the last man standing with no balls.